(CNN) - In a new radio ad released Thursday, Mitt Romney's campaign featured one of the biggest flashpoints from the final presidential debate, attempting to turn the tables on the president's quip about "horses and bayonets." The one-minute spot, "Our Navy," features Romney's argument that the Navy is smaller than any time since 1917, citing a downsizing of 313 ships to 285 ships. 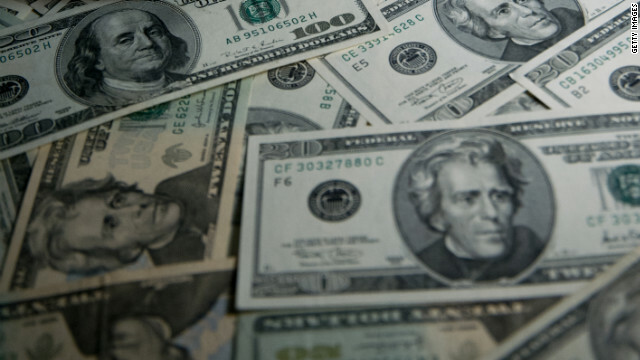 (CNN) - Mitt Romney's team raised nearly $112 million in the first half of October, his spokeswoman Andrea Saul posted Thursday on Twitter. Washington (CNN) - For undecided voters still looking for something to move them into the decided column, Monday night's presidential debate shed little light. Maintaining Israel as an ally? Both President Barack Obama and Republican challenger Mitt Romney agree that relationship is vital and sparred over who is that nation's biggest defender. Washington (CNN) - Mitt Romney waited until the presidential debates in the final five weeks of the election campaign to make his long-anticipated shift to the political center after previously espousing strongly conservative stances to win the Republican nomination. The move appeared to catch President Barack Obama by surprise at their first face-to-face match up. His lackluster performance against a strong showing by Romney helped the former Massachusetts governor to catch, and in some places, pass the president in the polls. 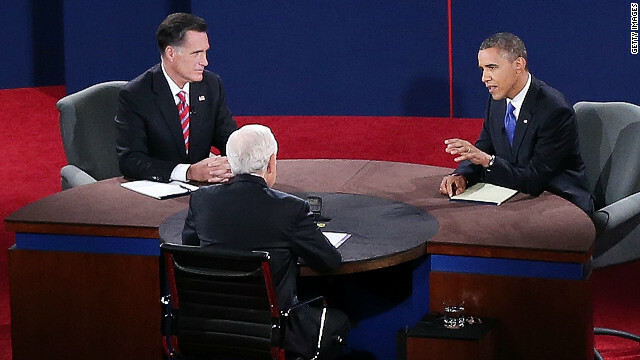 (CNN) - During last night's foreign policy debate, President Barack Obama and Mitt Romney argued over the war in Afghanistan, nuclear crisis with Iran, tension with Israel, the rise of China and America's role in the world. (CNN) - David Axelrod, senior adviser to President Barack Obama's campaign, brought a new bird into the election vernacular, saying Mitt Romney's debate performance reminded him of a certain winged animal. 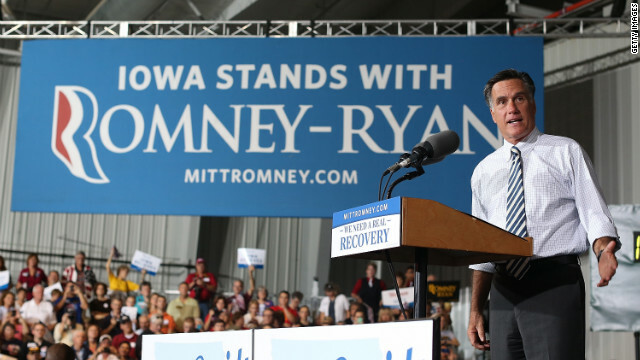 "Governor Romney in so many instances said that now he agrees with the president's policies," Axelrod said on Tuesday. "If Big Bird was the symbol of the first debate I think the parrot would be the symbol of this one." 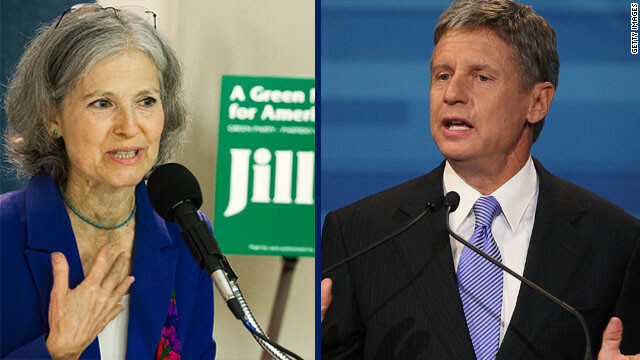 At tonight's debate: Jill Stein (Green Party), Gary Johnson (Libertarian Party), Virgil Goode (Constitution Party) and Rocky Anderson (Justice Party), all of whom have received little attention during this election. They're working to change that by pushing a message that focuses on issues that they believe are being ignored by Democrats and Republicans. 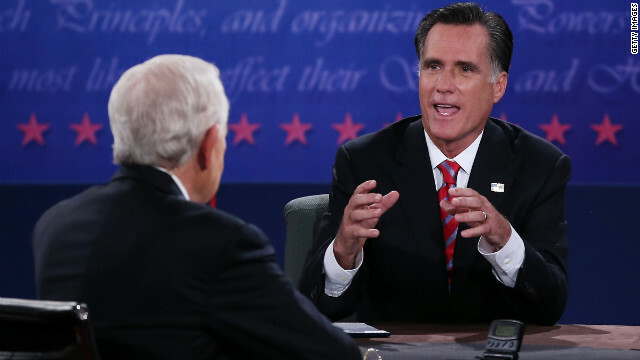 (CNN) - Sen. John Kerry of Massachusetts, who played the role of Mitt Romney in the president's debate prep, said Romney changed some of his foreign policy positions in the final presidential showdown. "The President of the United States was the commander-in-chief, and Mitt Romney–I hate to say it–was the campaigner-in-confusion," he said Tuesday on CNN's "Starting Point with Soledad O'Brien." "He's hiding his positions." (CNN) - Sen. Rob Portman of Ohio, who played the role of the president in debate prep for Mitt Romney, said Tuesday he appreciated the Republican nominee's moments of agreement with his opponent during the debate. "I thought when Governor Romney did that, it was refreshing for a lot of undecided voters who are tired of the attacks back-and-forth and the politics," Portman said on CNN's "Starting Point with Soledad O'Brien." "Look when Governor Romney thought that the president was right, he said so."